Sell your iPhone 4 8GB with OnRecycle to make the most money: in just seconds, we'll compare all the major phone recyclers so you can sell with confidence! 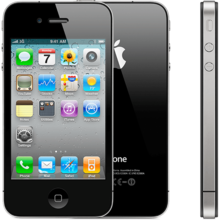 Selling your 8GB iPhone 4 with OnRecycle couldn't be a simpler process: we compare iPhone 4 8GB trade in prices from an array of trusted phone recycling companies eager to buy yours. We'll even show you their payment speed, method and user reviews to make it easier - so what are you waiting for? Sell your iPhone 4 8GB for cash with OnRecycle!